Looking for a place to spend a romantic weekend? The Texas Gulf Coast is loaded with romantic getaways that are perfect for Valentine’s Day or any other special occasion. Beginning on the Upper Texas Coast, historic Galveston is perhaps the most romantic destination on the coast. The Mermaid and Dolphin offers bed and breakfast accommodations and spa amenities in a romantic setting, which includes a Tropical Garden Rainforest. Historical hotels such as the elegant Hotel Galvez, as well as modern luxury resorts such as the San Luis Resort, Hilton Galveston Island Hotel, and Moody Gardens Hotel and Spa offer romantic weekend seekers a wide variety of island accommodation options. Of course, there is much more to a romantic weekend in Galveston than where you stay. This historical coastal community is loaded with attractions, as well as a variety of dining and entertainment options. Shopping on the historic Strand is always a wonderful way to spend the day. While in the area, you may want to consider catching a performance at either the 1894 Grand Opera House or the Island ETC. A cruise aboard the Colonel Paddlewheel Boat or a visit to the Haak Winery would be a great way to fill the balance of your day. Come evening, there are a variety of dining options to cap a wonderful day on Galveston Island. The Saltwater Grill is located just steps away from the 1894 Grand Opera House and offers a wonderful seafood menu in an elegant setting. The Waterman offers not only great seafood, but unmatched views of the sunset every evening. In the middle coast, Corpus Christi is another location perfect for a romantic weekend. For those looking to be pampered, the Ocean House is the place to stay in Corpus. This quaint, Mediterranean-style bed-and-breakfast offers elegant, private accommodations. Located just across the street from Corpus Christi Bay, the awe-inspiring Omni Bayfront Tower is always a favorite among Corpus Christi visitors, as is the Holiday Inn Emerald Beach. Corpus also offers plenty of attractions and entertainment options to fill out your vacation. Waterstreet Market affords visitors a wide array of shops, restaurants, and clubs all within walking distance of one another. The Harbor Playhouse and Corpus Christi Ballet each offer high quality productions which are perfect complements to a romantic weekend. As for dining possibilities for your romantic weekend in Corpus, the Water Street Market is at the top of the list. And, speaking of being on top, the Republic of Texas Bar and Grill offers unmatched views from its perch on the 20th floor of the Omni Hotel overlooking Corpus Christi Bay. At the southern tip of Texas, South Padre Island offers visitors semi-tropical conditions year-round. A variety of first-class hotels, such as the Bahia Mar and Isla Grand offer visitors luxury accommodations right on South Padre’s famous beaches. A cruise with Fins 2 Feathers tours is wonderful to spend some quality time on the Laguna Madre Bay. A visit to the Port Isabel Lighthouse or riding horses on the beach are other good ways to spend time during your romantic retreat to South Padre Island. The Sea Ranch Restaurant has long been a favorite of seafood lovers visiting South Padre Island. Located right on the bay, Scampi’s offers great food, an extensive wine list and unbelievable sunset views. Although these three cities are among the most sought-after romantic coastal getaways in Texas, don’t overlook smaller coastal villages such as Kemah, Port Aransas, and Rockport. 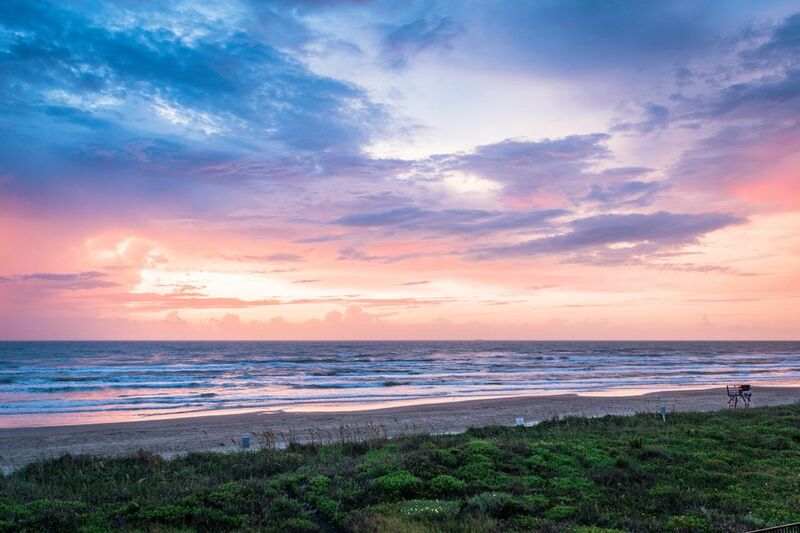 Regardless of what coastal town you choose, a visit to the Texas coast is a perfect way to spend Valentine’s Day, anniversaries, birthdays, or any other special occasion.